Well, it’s the end of the week & it’s been a long one… I’m on Day 11 of my Whole30 & that doesn’t allow for a cocktail, so I’m going to have the next best thing….a MOCKTAIL!! 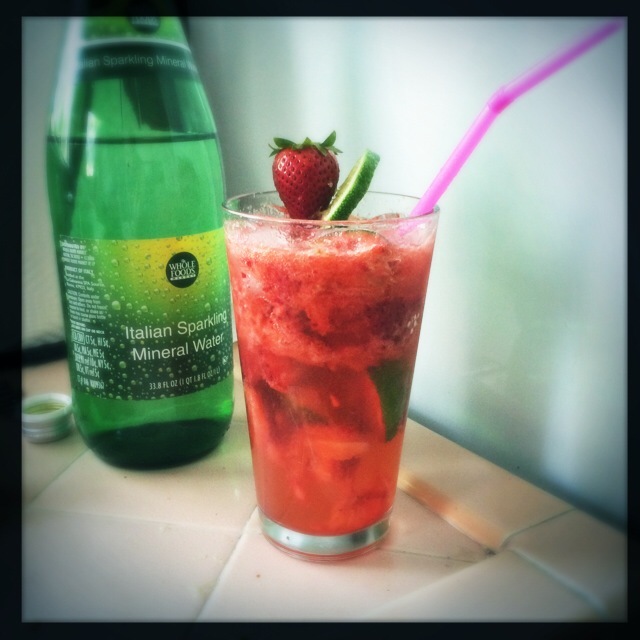 Muddle up some fruit, throw in some sparkling water, & voila! 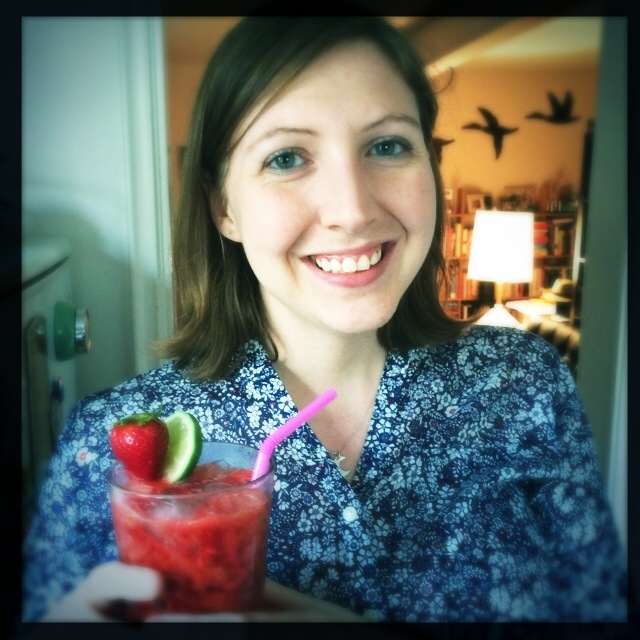 I even have a lovely bartender on hand to fix my mocktail while I work on dinner. 1. 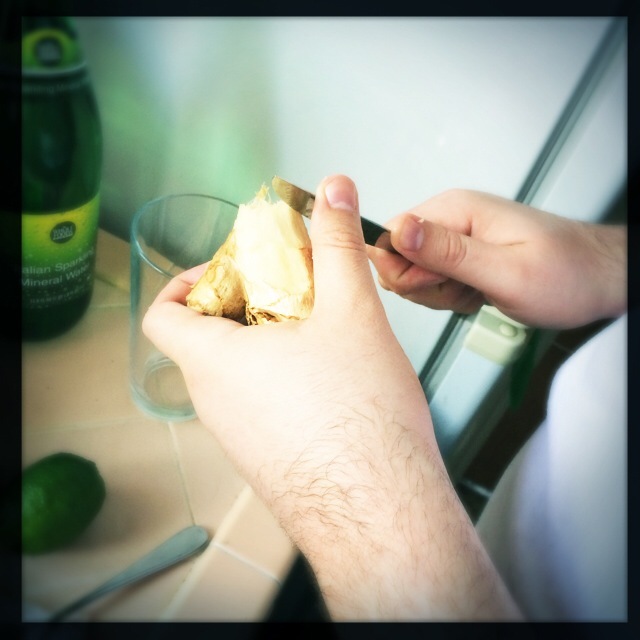 Peel the ginger, cut a couple of “coins”, throw in glass. 2. 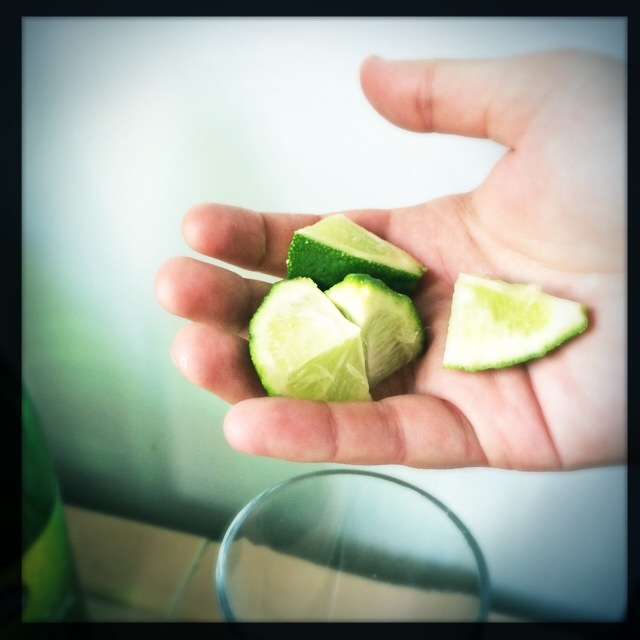 Quarter half of a lime, throw in glass. 3. 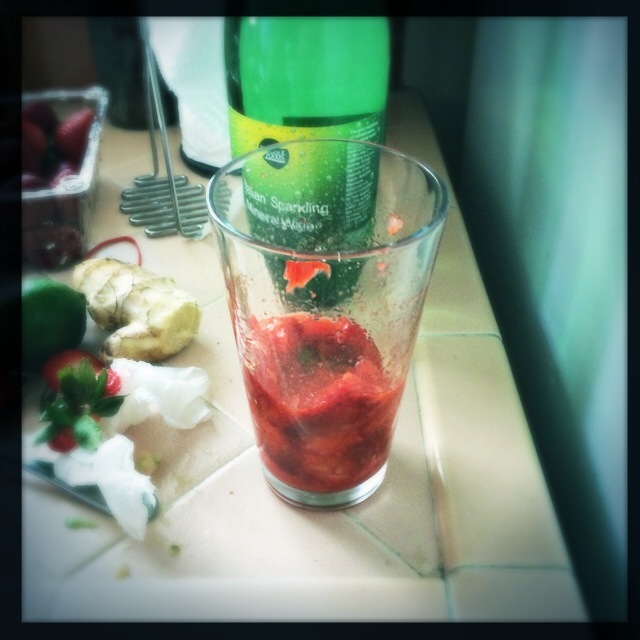 Remove hulls from strawberries, slice, throw in glass. 4. Muddle fruit. No muddler? No problem! We used the handle from an IKEA potato masher. 5. 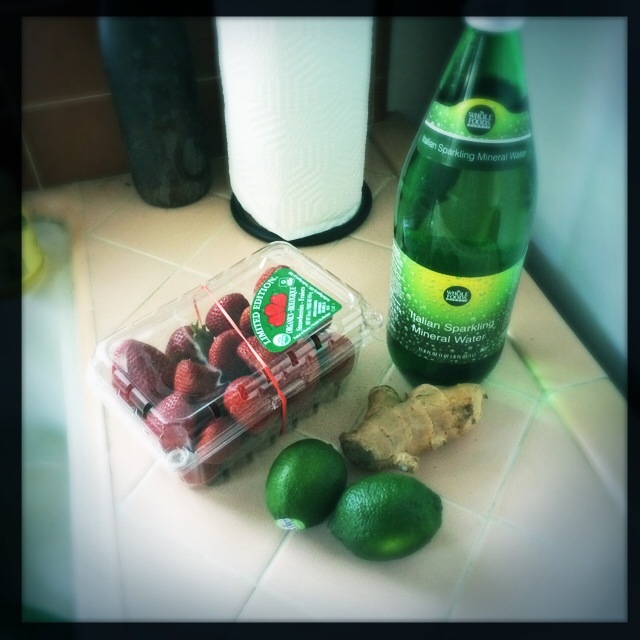 Add ice then pour sparkling water over the ice & muddled fruit. 6. Garnish, add a pretty straw, stir up a bit & Enjoy!